I’ve written this post several times over in my mind, but have just given myself the opportunity to put my thoughts down on paper. 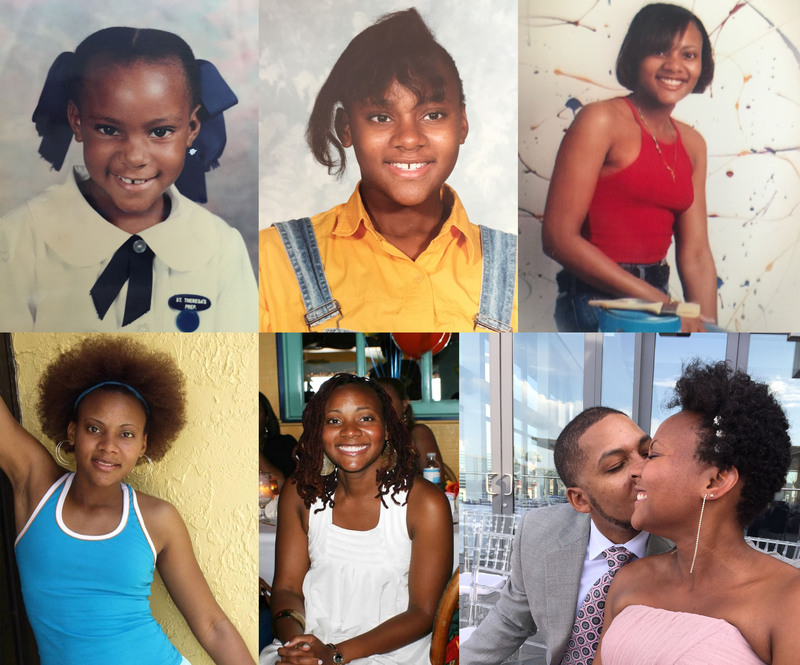 Growing up as a little girl in Jamaica, I felt like I had a great life, a very happy childhood. I grew up around people of different economic backgrounds and ethnicities; people who had gorgeous hues and various hair textures, yet, culturally we were all the same. Our motto in Jamaica is “Out of Many, One People,” because of the various natives and settlers throughout the years that were transplanted from Britain, Africa, China, India and Spain. We were all Jamaicans. Though we were a blended set of people, the issue of systematic classism was and still is one thing that is widespread across the island. The conditioning that this has imparted on people is so ingrained that it often goes unrecognized or becomes indoctrinated into our daily lives. The idea that people of lighter complexion and soft, wavy or straighter hair were better equipped to teach, handle finances, be leaders, TV personalities, models or business people was the accepted school of thought. This left those with darker complexions and thicker coiled and wooly hair to be viewed as less educated, simple country people, maids or helpers, who worked at market or were farmers and fishermen. This phenomenon is referred to as “colorism” in African-American culture. The “lucky” few that made it to the frontline had to do a lot to change what they looked like in order to be “presentable” in the eye of the public such as relaxing their hair and keeping it straight, lighting their complexion with various skin products in order to create a smoother, fairer complexion and speaking the Queen’s English versus the local dialect. This may seem extreme, since we claim to be progressive people; however, it is hard for oppressed people to consciously make progress since our conditioning is so deeply rooted. I came to this realization because of my own personal journey and experiences that I’ve had since deciding to stop relaxing my hair and wear it in its natural state. I recall my mother telling me that she put a relaxer in my hair when I was FOUR years old because my hair was difficult to manage and that was the thing to do. Since then I’ve had a ‘Big Chop’ (BC), a texturized Afro (some described it as somewhat of a jerry curl), another BC then a period where I learned to comb my hair during the 80s. After that, I relaxed my hair again and kept this going for 11 years. During that time, I struggled with the idea of “going natural.” I used to say, “When I meet my husband and am married for a while, then I will feel safe enough to cut my hair all off and grow my hair in its natural state.” I was scared that if I cut my hair and embraced my natural hair, I wouldn’t be beautiful. I felt my hair was too “black” to go natural and that because I didn’t have “good hair,” my peers (and society) would not accept me. The truth is I was completely and utterly afraid I wouldn’t be able to accept myself. The fear and anxiety that I was experiencing made me want to dig deeper to relinquish this fear and let it go. At the end of 2003, before my 24th birthday (before I even met my husband! ), I decided that I was no longer going to relax my hair. In January of 2004, I had the most dramatic BC of my life. Since then I’ve had dreadlocks and I now rock a tapered tightly coiled fro. Going natural wasn’t critic-free, to say the least. I experienced disdain from friends and family about my hair. Many said I was crazy for doing what I did. They asked what I was going to do with my hair and asked that I not comb my hair in their bathrooms. Someone even asked me how I got a job with my hair in locs! I heard so many negative comments and criticism. As these comments were dished out, I don’t think the people that were making them or asking ridiculous questions realized how hurtful they were. I didn’t say how hurtful the comments were; instead I tried to share where I was coming from and my reasons for doing what I did. But why did I have to explain myself in the first place? Why did I have to justify choosing to embrace my natural hair? Little did I know that a few short years later there would be an entire “natural hair movement” taking place. I went natural when natural wasn’t cool, but I stuck with it and learned so much about myself. I still hear comments about “good hair” and disdain for “dark skin,” even among minorities. These comments break my heart. I have two sons and hope one day I will have a little girl. I want them to love who they are, appreciate their heritage and not feel less than or be viewed negatively because their hair isn’t soft, curly or wavy. When our children hear comments like this, the cycle of self-defamation continues. I encourage a deeper look into why we say the things we say and why we think the way we think because ultimately, we must change what we should change. The spoken word is very powerful and some people may never remember what you say, but how you say something and how it makes them feel never leaves them. To help promote the change I wish to see, I have decided to showcase the beauty in each of us, through a photographic documentary series. This artistic platform will explore ways to embrace all that we are, encompassing the struggles we face with our hair, complexion, heritage, background and beyond, as well as the joy and love we find within ourselves, our families and our communities. With a little funky fashion flare, I hope to create an inspiring celebration of different hues and hair types that promotes love, acceptance and beauty—in all its forms. Below, I’ve included photos of how I wore my hair throughout different stages of my life. Looking at these pictures makes me smile; I appreciate where I’ve come from and I look forward to where I’m going. Happy you’re sharing your journey! Black women all over the world face obstacles when they attempt to wear their hair in its natural state. By sharing your story you’ll inspire more women to embrace their natural hair, or question why they conform to societal standards of beauty, and reject their own. Beautifully say! Your message will encourage a lot of women and girls to embrace their natural beauty which includes their hair. The decision to go natural is not always easy but it makes you feel liberated when you do make that decision. This is a positive message, and I hope lives will be impacted and women and girls all over the World will come to accept themselves for the natural beauty they possess. Thanks! 🙂 I hope so! Love it. I agree completely. The last time I’ve been natural for 5 yrs now and have had many struggles. I’m still learning to care for my hair. However that freeing feeling is all worth it it. Most of all I love that both my girls will see that true beauty is with in and not based on how straight our hair is. Well said cuz! I’m so happy they have you to look up to and admire, thats awesome! Thank you for sharing your journey with this. Going natural was not an easy decision for me either. It’s been almost 2 years and I struggle with the comments and constant questions about what I’m doing with and to my hair. Reading about other sisters journeys keeps me moving forward. Those questions can make you question yourself and the direction you’re going with your personal journey, but don’t let it knock you off course. There is growth in difficult decisions. Well KT. This was beautifully stated. There are so many hindrances to the true expression of “blackness” and our hair is definitely one of them. Loving oneself despite the rhetoric that shouts otherwise is difficult for an oppressed people to do but with one “natural do” at a time and one “I won’t bleach at a time” we will uncover our true selves. Beautifully said and encouraging. Thanks for sharing. I relate to making hair style decisions based on where I am in my romantic relationships and careers- concerned about how I would be judged. The natural hair movement is something I wish was around when I was in my late teens and early 20’s. That support makes a big difference in the progress black women are making in accepting their own beauty. Your documentary is going to help so many.